The string player holds violins and violas similarly. 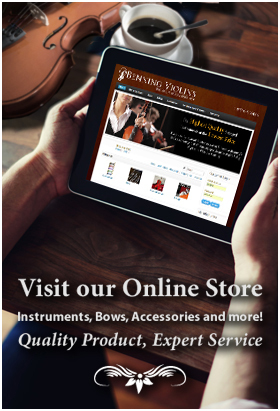 Correctly holding a violin or a viola will enhance the sound of the instrument as well as its playability. The player’s hands, shoulder, chin, jaw and collarbone play important roles in the positioning and resting of the instrument, allowing advancement in tone and speed. An incorrectly held violin or viola will deter its sound, as the stringed instrument will lack balance and stability. The first step in correct positioning is to practice sitting with good posture in a chair with a straight back. Slouching will decrease the player’s speed and cause back pain. The feet should be firm on the floor as though the player were standing. If the player chooses to stand, the feet should be slightly closer together than the player’s shoulders, with weight distributed evenly. Knees should be relaxed. Next, the instrument should be rested on the left collarbone with the neck of the violin or viola facing outward. It should be horizontal to the floor and at a left angle from the direction the player faces. The head is then lowered straight down and onto the chin rest, then angled a little to the left so that the jaw touches the chin rest up to the player’s chin. The chin should rest lightly on the rest. Then the instrument should be centered so that it faces the same direction as the player’s face, angled 20 degrees to the left of the body. The left hand is placed under the instrument’s neck just before the struts with the neck held between the thumb pad and the knuckle of the pointer finger. Next, the pointer finger curls onto the top of the fingerboard. The other fingers should not touch anything. A straight line will form from the wrist to the forearm that should be kept intact. Both violins and violas are difficult enough to play when held correctly. 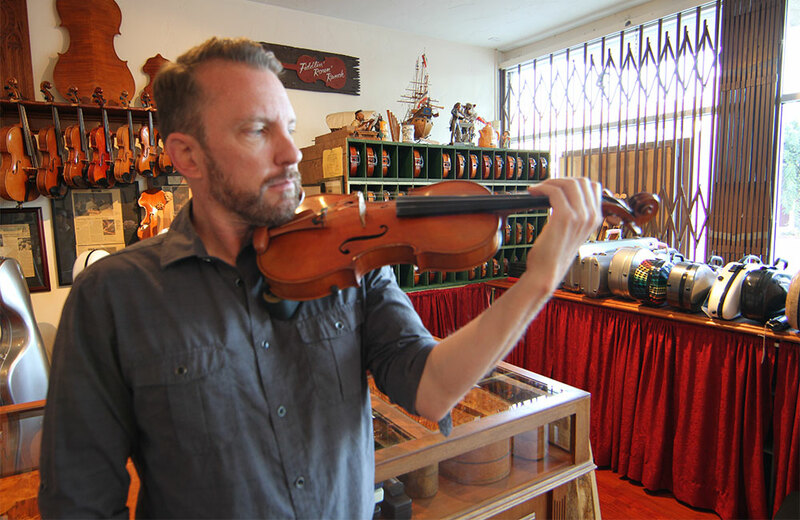 Learning to hold the instrument correctly from the start of learning is essential in order to prevent developing bad habits that will ultimately make the violin or viola more difficult to play later.